The Law Offices of Edward Misleh, APC offers a FREE CONSULTATION to all new clients. You will meet with a licensed attorney who will discuss with you, your case, your options, and the issues you may have to consider during and after your divorce. 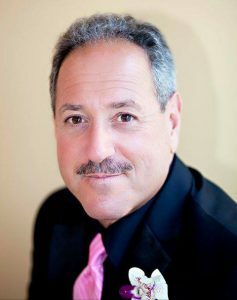 The Law Offices of Edward Misleh, APC, located in Sacramento, California, offers a free consultation to all new clients. Please call 916-443-1267 to set-up an appointment. A Sacramento divorce attorney will help you navigate the legal process of filing for and completing your divorce, also called a dissolution of marriage. There are a number of issues which you may need to address and which may require legal assistance. Even if you believe that you will not need an attorney or that you and your spouse can come to an agreement on all issues, you should still consult a Sacramento divorce attorney to make sure you are adequately addressing all matters involved in your divorce. El Dorado County Superior Court. To file for divorce, you must have been a resident of the State of California for the six months prior to the date of filing. Additionally, you must have been a resident of the California County where you file for the three months prior to the date of filing. This establishes jurisdiction which is the state and county where your matter will be addressed. Determining if your action is a divorce, legal separation or annulment. Child custody and whether or not to request sole child custody, primary child custody, joint child custody, and visitation. Domestic violence issues which may involve child neglect, child abuse or spousal abuse. Child support, temporary spousal support and permanent spousal support. Marital Assets and characterization of all community property and all separate property. Dividing the interests in the family home, any pension and retirement plan, and any business. Should you hire a Sacramento divorce attorney, they will attend all hearings and, if need be, prepare your case for trial. In preparing a Sacramento divorce attorney will conduct discovery, obtain evidence to support your case, subpoena experts and other witnesses, and prepare to cross-exam anyone who will be testifying for the opposing party.